We are excited to announce our new plastics and packaging for 2018! 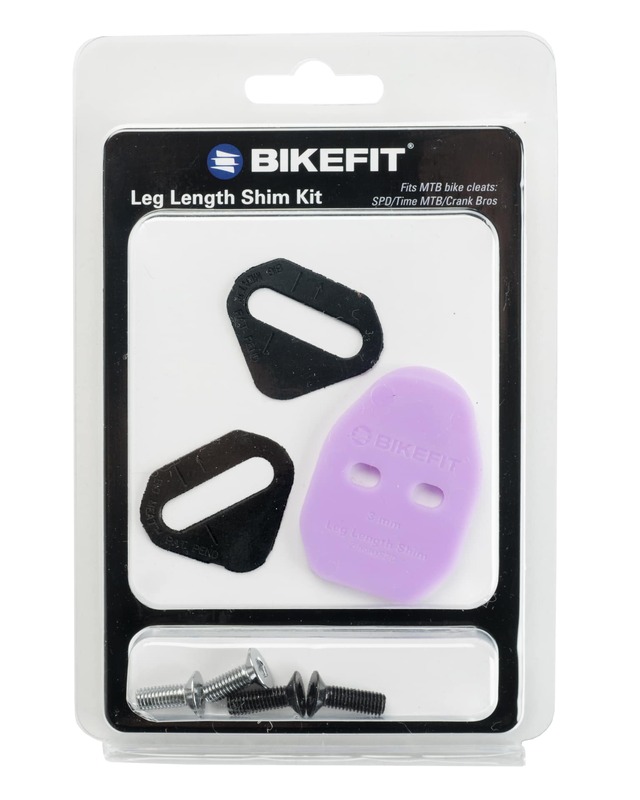 Many of you may have seen these in your shipments already, but we’ve revamped plastic and packaging throughout the line to provide you with the best functioning (and looking) bike fitting products on the planet. 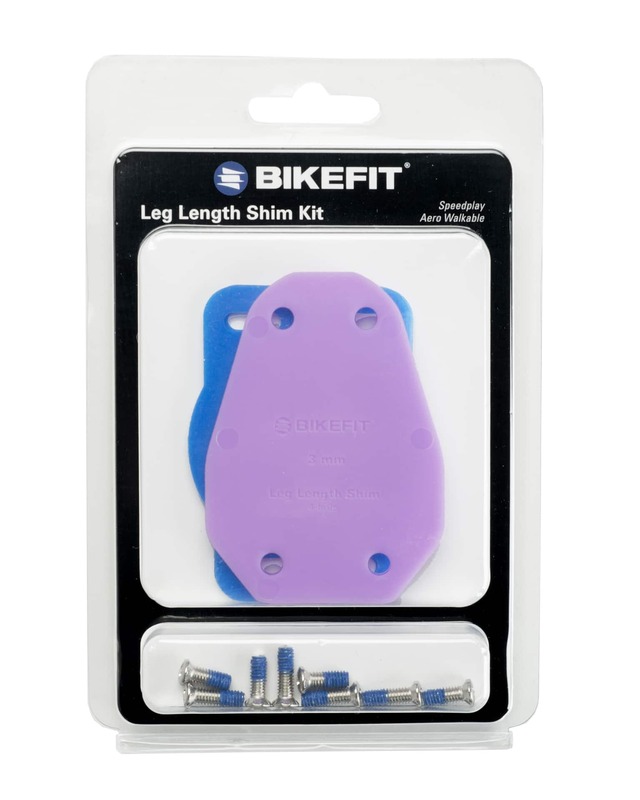 Unlike some other knock-offs in the industry, we insist on using high-density plastic for our 3mm Leg Length Shims(seen above). For 2018, we decided to step away from the black on black on black on black and spice up our products with a smattering of color. 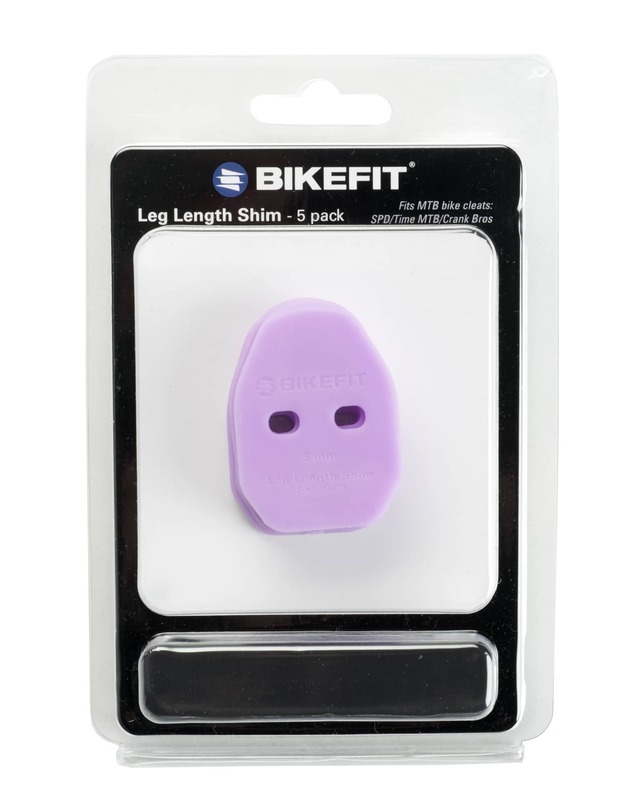 Our Universal (all 3-hole applications) and Look Keo models are a beautiful cobalt blue and our Speedplay and SPD/MTB 2-hole models sport a ferocious lavender. Yes, we described lavender as ferocious. 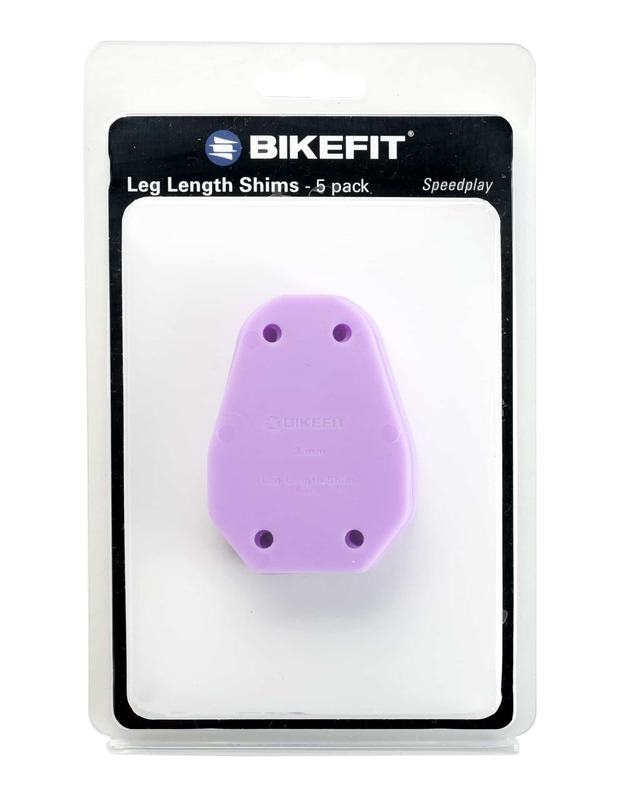 Our design on the Leg Length Shims remains largely the same. 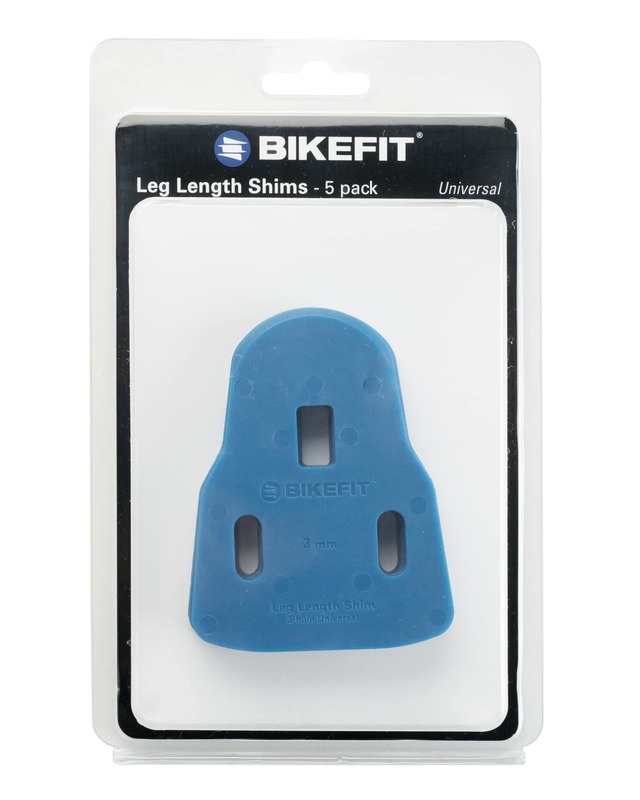 We continue to “ramp” the front of the shim in order to provide optimal cleat/pedal engagement and safety for those who need them. 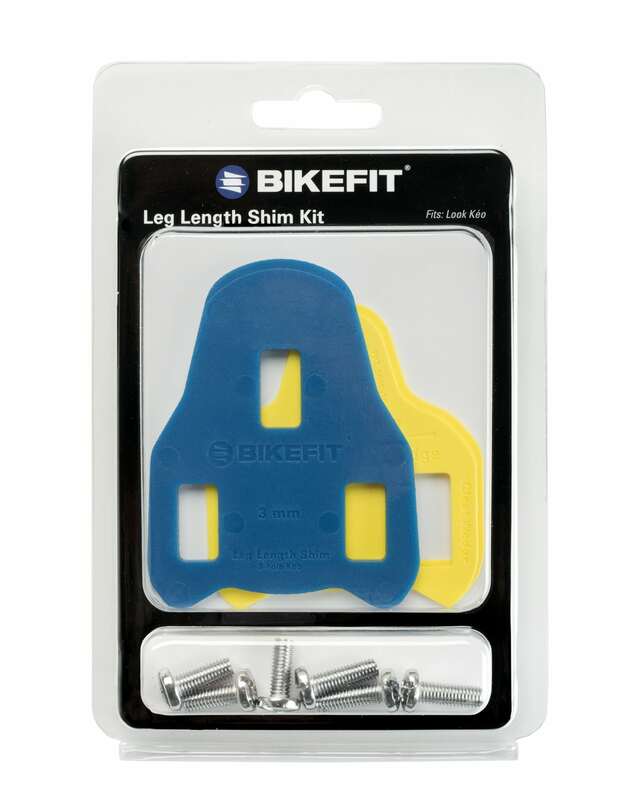 For the most popular three-hole cleat models, our Look Keo Leg Length Shims are designed to use a smaller base plate that matches the cleats. 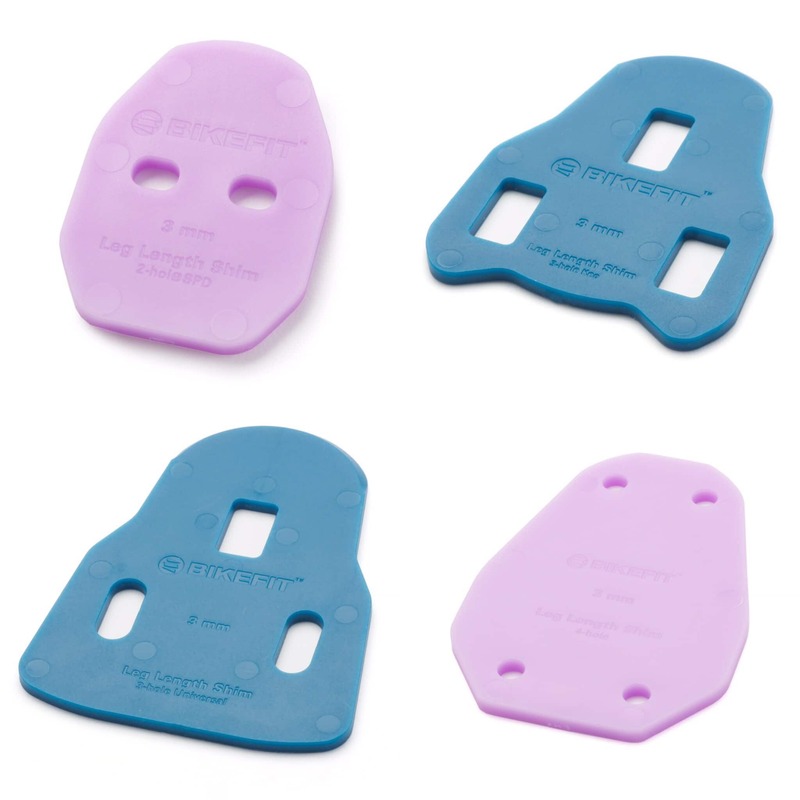 The Universal Leg 3mm Length Shims have a larger base plate and will fit any 3-hole type of cleat. 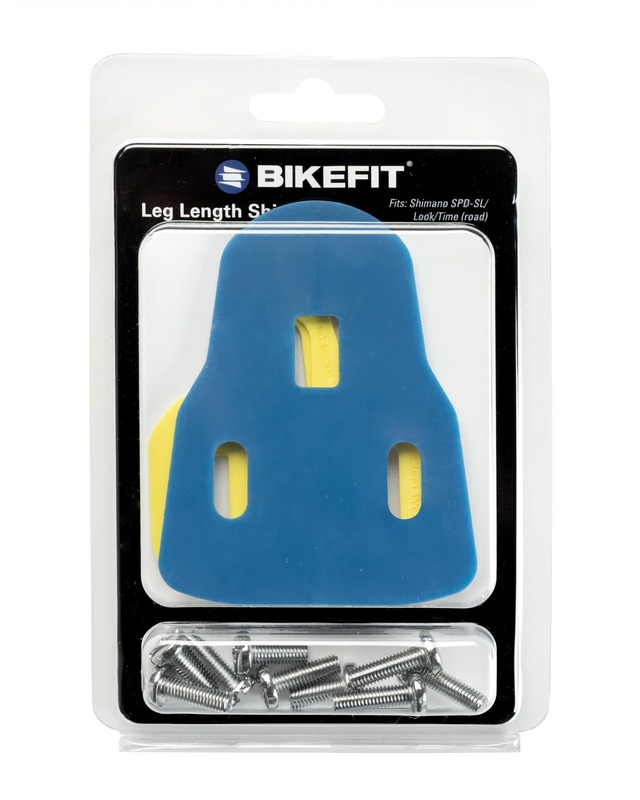 Our Speedplay Leg Length Shims are offered with either Walkable Screws or the old style V2 screws. 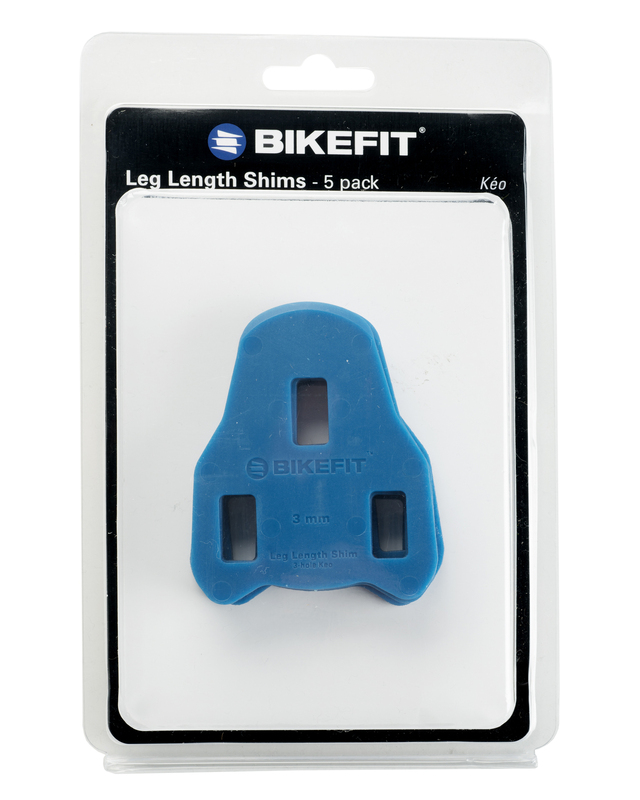 Beyond the plastic itself, we’ve also changed our packaging across the BikeFit product line to provide not only a strong visual of our shims, wedges, and extenders but also to aesthetically display products in fitting studios, bike shops, pain caves and indoor cycling facilities. Look for our new packaging at your local shop or on our site! Would you rather text then call? Send us a text with your questions!